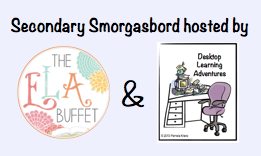 I'm linking up with the fantastic teachers at Secondary Smorgasbord for this post! Seven more weeks (and counting) until that glorious time of year called summer break is upon us. Next week is my school system's Spring Break, so the excitement is palpable. And (minus this morning's torrential downpour) the weather is seductive. If you've missed my Spring Survival Tips, Countdown to Summer Break, so far, check out #9 here and #8 here. They're technological in nature, but this week's tip is all about nature. Being inside is torture when it's 70 degrees and sunny outside, and that's such a small window here in Georgia. By the time school's out, temperatures will be approaching 90 with humidity so thick that no one with air conditioning will want to go outside. So it's important to give into the fleeting siren-call of spring while we still can and enjoy the outdoors. Give In and Go Outside! Outside ventures lend themselves to low-tech lessons. 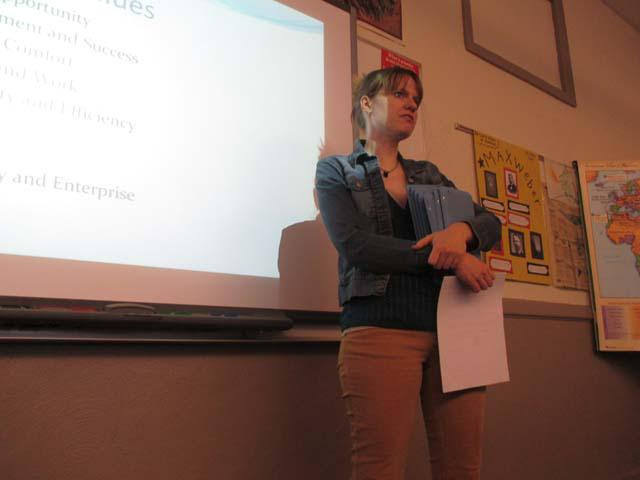 Throughout my years as a secondary teacher, I have taught both English and social studies--both middle and high school. Here are five of my favorite outdoor activities. In honor of National Poetry Month, coming up in April, why not have your students write poems about nature? Picture Nature Haikus decorated with clover and blades of grass, a cinquain composed on a five-petaled flower, Odes to Nature....You get the idea. Grab a wiffle ball set, and head down to the baseball field (or the school's front lawn). Divide the class into two teams (this one is fun if you can combine with another class). Students must earn a turn at bat by answering a question correctly (borrow a cordless microphone from the drama department if you can, so the questions and answers can be heard by all). Play according to the rules of baseball, except they earn a turn at bat for a correct answer and score a point each time a player crosses home plate. I use this one in sociology for culture, groups, and socialization, but why not have students hunt for examples of their vocabulary words? Or give the students clues and hide answers to guided notes around the school campus (an entertaining way to take notes). I only use scavenger hunts with classes I can trust! On a chart, flipbook, or foldable, have students find examples of figurative language in nature. For example, "The sun smiled warmly on me," "The flowers smell as sweet as honey," "The sky is a blue sea with tufts of white foam...." You get the idea. Take colored pencils outside, and have the students illustrate their work. These are my favorite because they are appropriate for any subject, and they introduce students to multiple books. Take the students outside to read and discuss their books. It's as simple as that, and more engaging because they're outside. Do you ever have class outside? What are some things you do? Leave a comment below to let me know. I'll be taking next week off for spring break, but be sure to check back in two weeks for Spring Survival Tip #6! 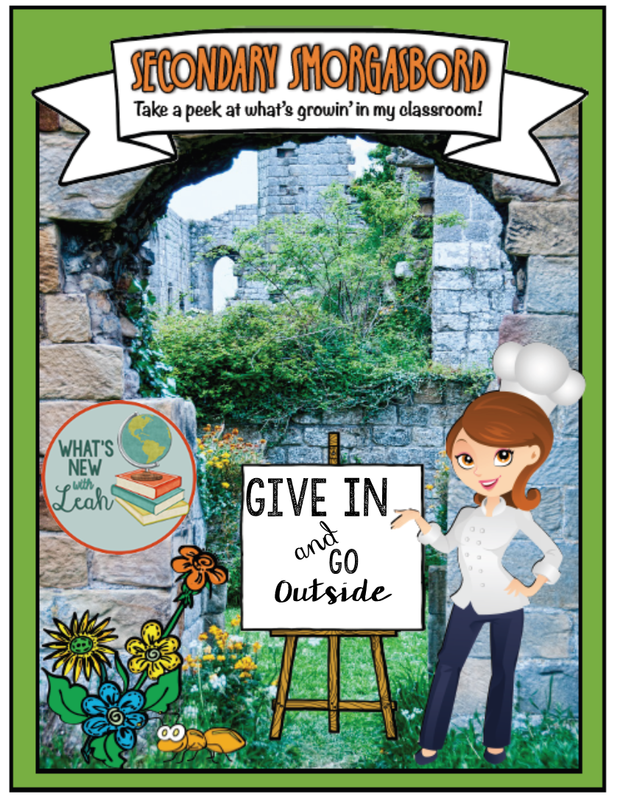 Curious to see What's Growin' in other secondary classrooms? Take a look! 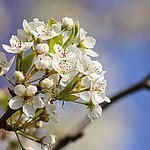 The frost has thawed, the snow has melted, and the stinky pear trees are blooming. The sun's out longer, and the students' attention is shorter--way shorter. "'Tis the season we must outlast them," a former principal of mine would begin to chant. They look sweet, but don't get too close! The first sign of trouble here in Georgia? Those nasty little pear trees. 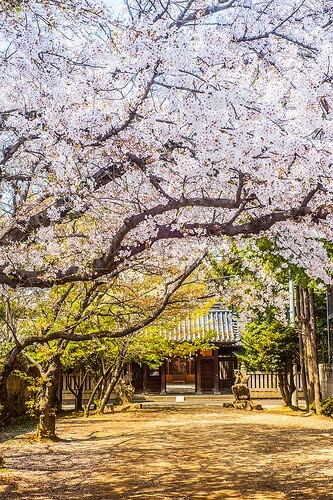 When they begin to bloom, it's all over in the classroom. Let's face it, though--we can't join them, and it's really, really hard to beat them. Exhausting. Giving up is very tempting. Very. Tempting. But we can't. It wouldn't be right. There are nine more weeks until summer. Nine often painfully long weeks, but there's still so much more to learn. That's why from now through the end of the school year, I'll be blogging about SPRING SURVIVAL TIPS. You know, those little tricks you find to keep the students engaged (and yourself sane) through the homestretch to summer. Let's face it, this is when we'd all rather be at the beach, but there are still EOCTs, CRCTs, SLOs, and any number of acronyms looming on the horizon. And let's not forget the actual intellectual development of our future (it's a shame I put that one last). So, let's begin the countdown with #9--KAHOOT! Kahoot is a website that you can use to create surveys and quizzes to engage the entire class in a little friendly competition--and inadvertently--review. Students use their smart phones or tablets, go to kahoot.it, and enter the PIN number of your quiz. Students then create a nickname. "School-appropriate," I strongly caution. While they're logging in, I like to embed a short YouTube video for them to watch (see the tutorial). The questions are projected onto the screen, students get a set amount of time to respond, and then the correct answer pops up. Students are scored on accuracy and speed. And here's the best part: the top five contenders' names are projected on the screen at the end of each question. It's only a quiz, but the kids are insanely engaged--they fight like crazy to get their names in the top five. 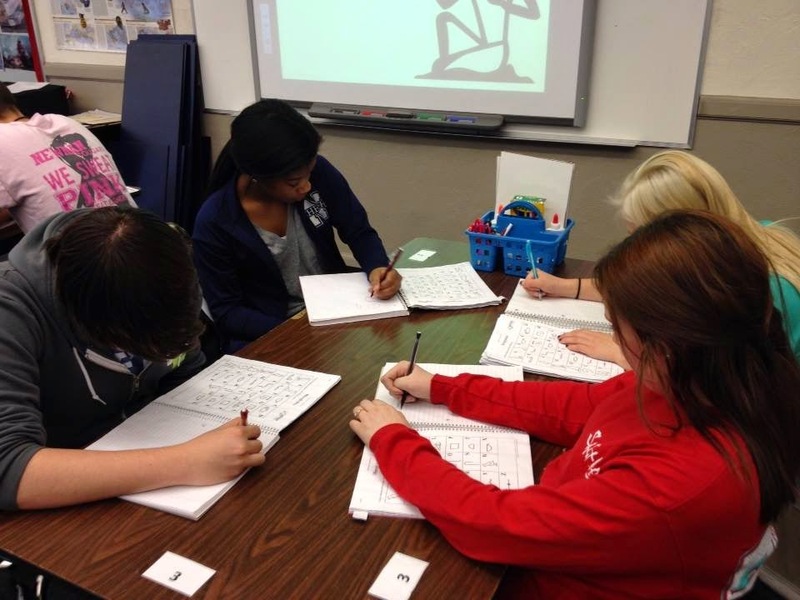 How do you keep your students engaged during the "home-stretch?" Leave a comment below to let me know. And be sure to check out all of my Spring Survival Tips: 8, 7, 6, 5, 4, 3, 2, 1. As a history and English teacher, I love integrating the two subjects whenever possible. As an undergraduate, I double-majored in both. I've always loved reading and writing. Stories make the world go round. I love grammar and language (hard to believe that anyone can, but I do, and I know I'm not alone). But the ultimate surprise to me was how hard I fell for history in college. I remember the class. It was Cultural American History. I always liked world history, but up to that point, I thought American history was boring. Law this. Amendment that. But in American Cultural History, we discussed everything from the impact of religion on colonial America to why American women started shaving their legs (an influence of Vaudeville, probably). "Really?" I remember thinking. "History's not just about kings and wars?" History is everything--from the clothes we wear to the books we read to the ideas we embrace--history is all encompassing. My high school teachers (who were amazing, by the way) always focused on war and politics. I enjoyed it, but I didn't decide to make it my major until I jumped into that Cultural American History class and saw that history is about the everyday lives of people like you and me. History is all-encompassing, and I want my students to understand that they are a part of it--both creating it and living in its midst. That is why I bring source analysis into the equation whenever I can. I want students to see through primary sources what people were thinking at the time we are studying, and through secondary sources how historians can offer differing interpretations of the same events. 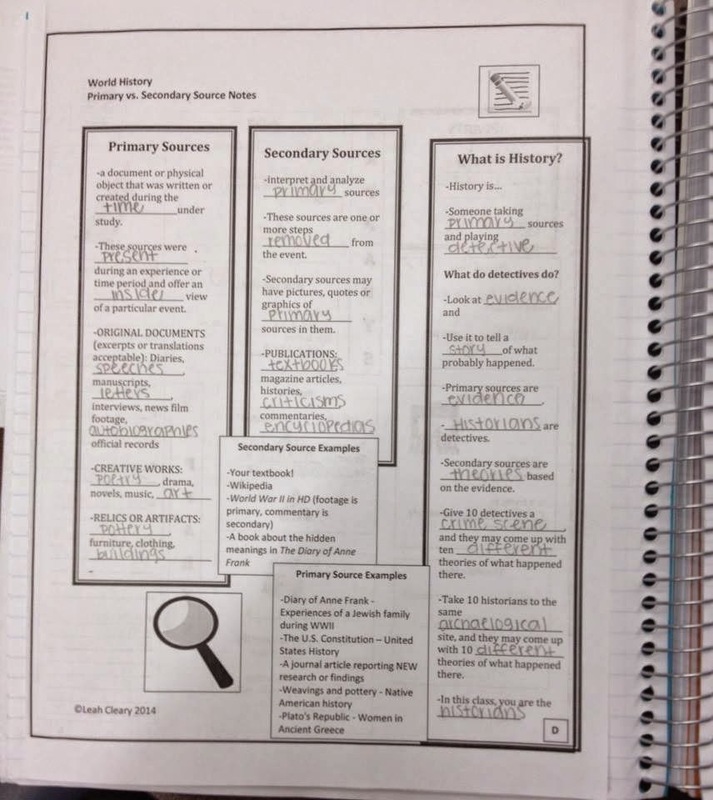 History is rich--history is alive, and I believe my primary and secondary source analysis help students to see that. I sell them individually here, but I'm also offering a bundle at a 20% discount. 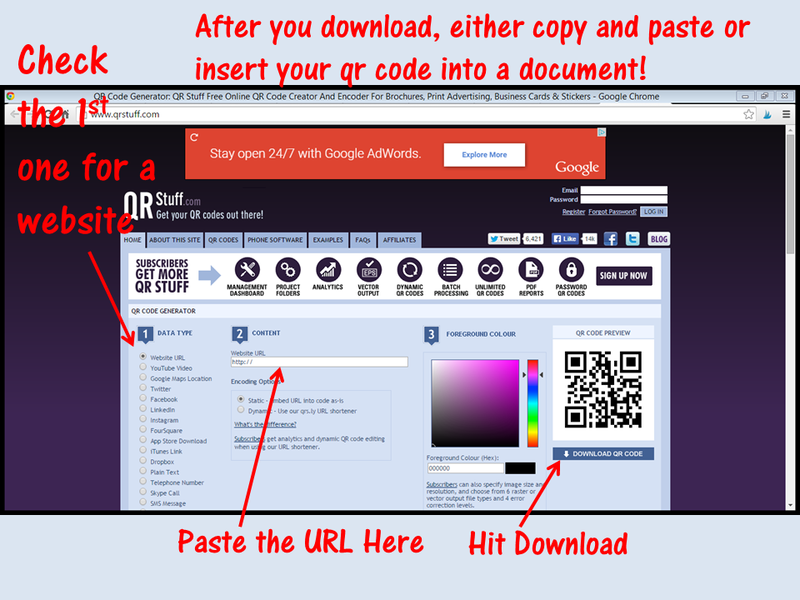 If you get it, the benefit is that as I add sources into it, you can download them at no additional cost. 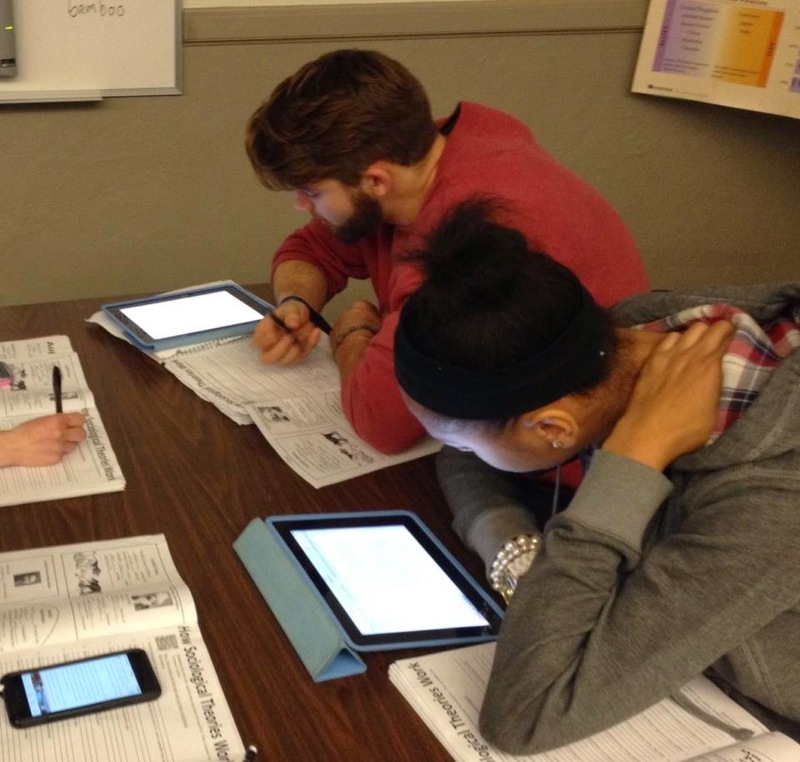 How do you use source analysis in your classroom? Leave a comment below to let me know!